The key to sticking to a new keto diet is meal planning. Learn how to succeed while saving time and money by using this guide to choose your meals and track your macros! 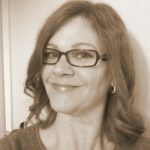 So now that you have the healthy habits down from the last article, let’s move on to meal planning for your new Keto diet: Expert meal planner Elisa Giorgio from Meal Planning Blueprints shares the basics on how to do easy keto meal planning on your own. 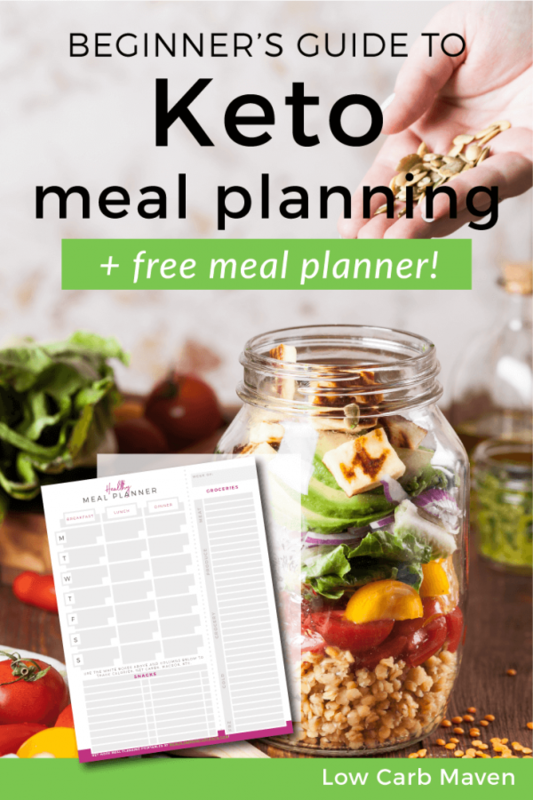 With a little practice Keto meal planning will help you save both time and money. Saving your weekly keto meal plans gives you fast access to shopping lists and carb counts per meal. 1. Print out your planner AND grab a blank sheet of paper. 3. 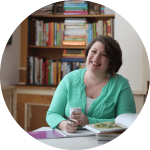 Grab your recipe box, binder, cookbook, or good ole’ Pinterest! 4. Use Theme Nights to make it easier. 1. Start with the Keto recipes that will use up what you have. 2. Write down your favorites, things you already make that can easily be modified for Keto (keto tacos, bunless burgers, stir frys, grilled chicken breasts, you get it). Add a garden salad and full fat dressing to make veggies easy. 3. Use the slow cooker and grill as much as possible to save yourself clean-up time! 4. 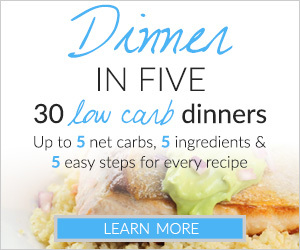 Now look for some easy weeknight recipes – my favorites are slow-cooker, soup, and grilling dinners. 5. Don’t forget freezer meals! If you’re going to be prepping meals anyway, might as well add a few to the freezer for those nights that get away from you. Here’s some simple steps to making freezer meals. 1. Grab your calendar and notate on your meal planner the days you won’t be home, or if you’ll need a super quick dinner. 3. Write in a leftovers day (or two). 4. Also write in your Theme Nights. 5. Now start plugging in recipes for each day. You’ll probably have more recipes than days, just save those for next week! 6. Grocery shop less by putting the meals that use fresh produce in the beginning of the week and more pantry meals towards the end. 7. As you’re writing in each recipe, jot down ingredients you’ll need in the Groceries section. The best and easiest time to meal prep is when you get back from the grocery store. – It gets easier AND faster! Give it a few weeks and don’t give up. – Stop grocery shopping! (what???) I mean, in person! There are so many online grocery options – your local grocery (maybe? ), Amazon Pantry or Fresh, Thrive Market, etc. And I believe you’ll make back the cost by not buying extra stuff (especially if you have kids!). Bonus: not being tempted by “window shopping”! – Take a picture with your phone after it’s done so you can refer to it later in the week. Trust me, you’ll need it! 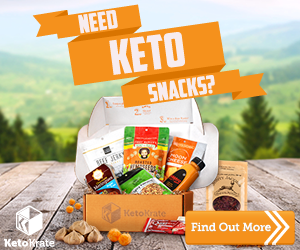 Are you ready to succeed on your new Keto diet and know exactly what’s going on the table? You’ve got this! 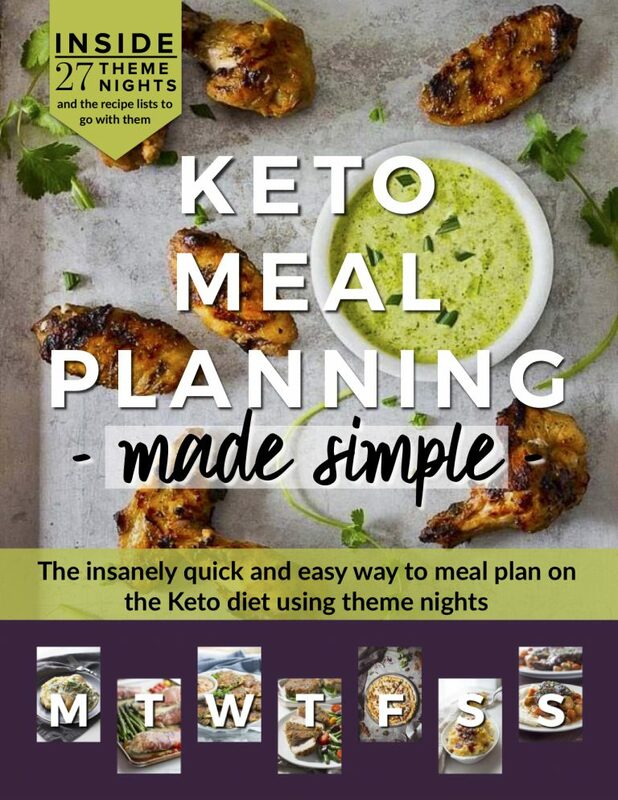 Download your keto meal planner ABOVE and get crackin’! These tips are brilliant, Kim! Most of them could be used on any meal plan. I love the advice of shopping less by putting the meals that use fresh produce in the beginning of the week and more pantry meals towards the end. I need to be better about meal planning myself. I cook on a whim….. Which can be exhausting and stressful. Great advice on everything.